Titled "Ren Jian Dao," roughly translated to "Path of Man," the ballad's lyrics were written by prolific Hong Kong lyricist James Wong in 1989, the same year that Chinese military units opened fire on a large gathering of civilian protestors in Tiananmen Square. Featured in the film "A Chinese Ghost Story II" in 1990, parts of the song were confirmed by Wong to refer directly to the massacre. Wong died in 2004. "The youth are angry, heaven and earth are weeping. How did our land become a sea of blood? How did the path home become a path of no return?" the lyrics read. In addition to Apple Music China, Cheung's rendition of "Path of Man" was also pulled from Tencent's QQ Music service, suggesting a government crackdown on pro-democracy media. While claims of censorship have yet to be confirmed, mounting evidence implies the government is proactively tempering the potential of public demonstrations ahead of the Tiananmen Square incident's 30th anniversary in June. 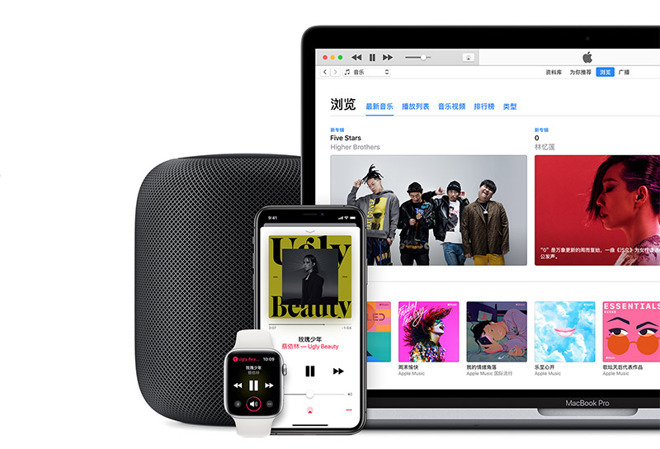 Apple Music also delisted works from other pro-democracy artists, including Hong Kong singer Anthony Wong and Denise Ho, the report said. In Ho's case, the artist and her discography have been completely scrubbed from Apple's servers. Human rights advocates have taken notice of the move. As noted by Fast Company, Sophie Richardson, China Director at Human Rights Watch, posted commentary on the takedown to Twitter, calling the decision to remove Cheung's song "spectacularly craven, even by [Apple and Tim Cook's] standards." In late 2016, Apple removed the official New York Times app from the Chinese App Store after authorities alleged it was in violation of unspecified local laws. A few months later, Apple opened its first data center on Chinese soil to comply with the country's cybersecurity rules. Later in 2017, Apple complied with a request to remove virtual private network (VPN) apps from the Chinese App Store, a move designed to thwart attempts to break through China's "Great Firewall." More recently, the company in March disabled an emoji of Taiwan's flag on Chinese Macs running the latest macOS 14.14.1 update.